Still looking for that perfect Mother’s Day gift, look no further! Send mom flowers and jewelry in one with the Cherry Blossom collection by Mallary Marks. These hand-finished 18k gold cherry blossom necklaces and earrings are dotted with pink sapphires, blue sapphires, or white diamonds. Necklaces are available in three chain lengths: 16 inches, 18 inches, 20 inches. 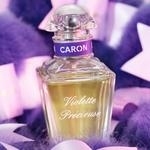 Capture her heart with the Violette Precieuse perfume by Caron Paris. Caron’s founder created this engaging floral scent in 1913 to show his affections to his beloved. Now you can do the same. The violet flower, violet leaves, iris and orange blossom notes explode into a harmony of light jasmine and lily of the valley, leaving behind a velvety warm scent of musk, sandalwood, raspberry and vetiver. Give her a day of pampering at Exhale Mind Body Spa. Choose from the Mother’s Day Retreat which includes a relaxing 30-minute fusion massage, a 30-minute true transformation facial, and a manicure with a lavender paraffin treatment. 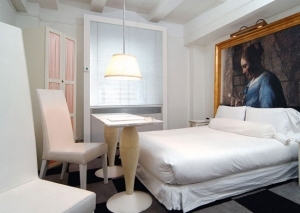 Or whisk her away to the legendary Paramount Hotel in New York for a luxurious hotel/spa getaway where she’ll receive the same spa services while enjoying a nights stay in a deluxe room with a guest of her choice. This package is available for the Mother’s Day weekend. Mother’s Day Retreat, all Exhale locations, $175. Exhale / Paramount Package, 212-764-5500, $513. 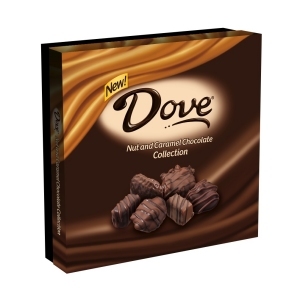 Give her mouth something to talk about with luscious DOVE chocolates. The Boxed Chocolate collection includes smooth Milk Chocolate, rich Dark Chocolate, and the Nut & Caramel Chocolate Collection. Make her feel extra special by purchasing all the varieties and wrapping them in a gift basket. At these prices, you can’t afford not to! Available at select supermarkets nationwide. 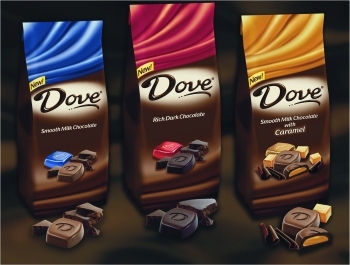 Log onto www.dovechocolate.com for locations. DOVE is also touring the country with the DOVE Indulgence Lounge. Next stop, Westfield Annapolis mall in Annapolis, MD. Busy Mother’s Day shoppers can take a moment to relax and sample DOVE chocolates through Monday, May 14th during regular mall hours. Give mom an at-home spa treatment with Essencia Aromatics gift baskets. Their products promote wellness and help loved ones achieve flawless, dewy, rejuvenated skin with natural ingredients and essential oils, along with nut and vegetable oils and butters. Choose from the Spa Pedicure, Soak & Scrub, Chocolate & Roses, Bathing Beauty, or make one just for her. Bathing Beauty gift basket, $27. Chocolate & Roses gift basket, $32. Soak & Scrub gift basket, $53.50. Spa Pedicure gift basket, $55. Abode Restaurant & Lounge. Less than a month old, this new restaurant will have two seating times for brunch and dinner. A five-course prix-fixe tasting menu will be served, including one glass of champagne and there are 3-4 options for each course. Byu-ti. Any daughter, son, father, or friend who calls this hip new salon before Mother’s Day for their mom will receive a free Olive Butter pack Byu-ti Hair Therapy treatment valued at over $40 for free. There’s no catch or limit to how many moms can get this treatment, so tell all your friends! Brunch – 10 a.m. to 3 p.m.
Tristan. A sophisticated oasis set amid the bustle of downtown Charleston, Tristan delivers an “epiphany of culinary perfection” in the precise and artistically inspired hands of Irish-born executive chef Ciaran Duffy. His globally influenced, bold American fare is laced with rare ingredients from ostrich to pork belly and employs classic French technique and other skills Duffy further honed during a recent stage at the acclaimed Fat Duck restaurant near London, England. This Mother’s Day, Tristan’s a la carte brunch will include live music from the Joe Clark Trio.